Figure 1. Bullish Separating Lines pattern. 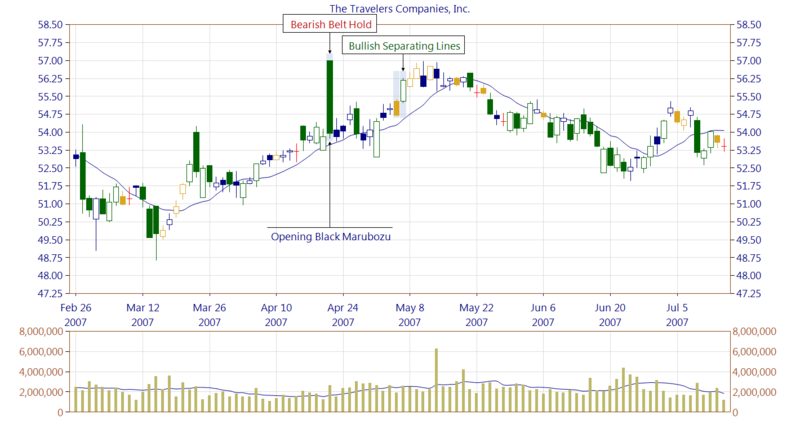 The Bullish Separating Lines is a two-line bullish continuation pattern. Its both candles appear as a long line. The first line is a black candle whereas the second one is white. The name of the pattern comes from the fact that the opening price of the first candle is equal to the opening price of the second line, i.e. candles are separating in opposite directions. The pattern is very rare. Figure 2. A Bullish Separating Line is preceded by a Bearish Belt Hold built of an exceptionally long black candle. In such market context, the bulls and the bears are fighting within the black candle range. Eventually, the bears control the stock. Note that the first line of the Bullish Separating Line appears as a short line, although, by definition, it should appear as a long line. The requirement is relaxed because the pattern is very rare. 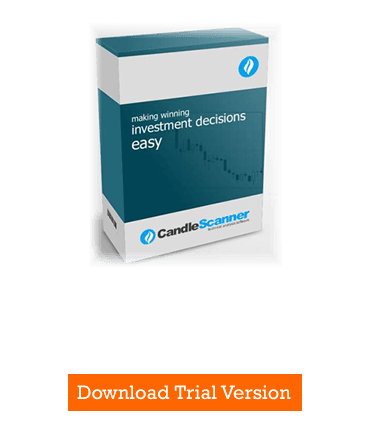 Below you can find some Bullish Separating Lines pattern statistics calculated by CandleScanner software. To see more detailed statistics, for other markets and periodicity try our CandleScanner software. Prices start at only $99, and you can see more detailed statistics, for other markets and periodicity. Click here to find out more!